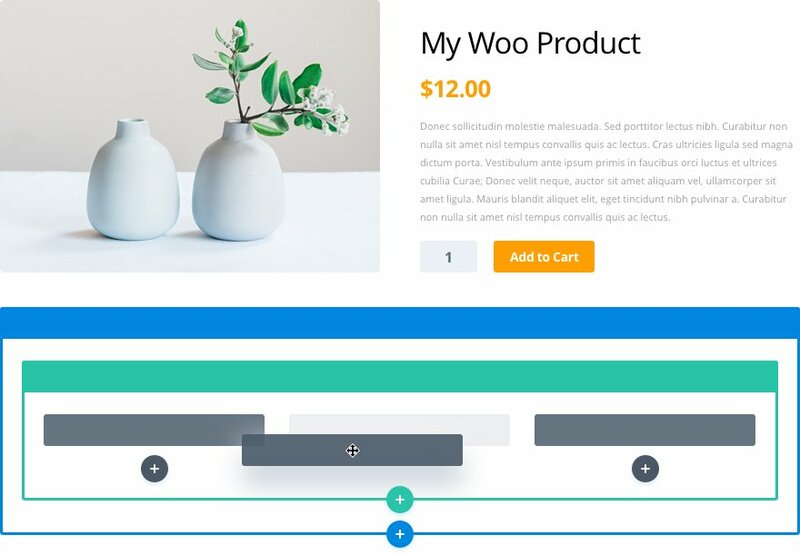 The Divi Builder can now be used on all custom post types, such as WooCommerce products! Today we are excited to announce that we are extending Divi Builder support to all custom post types, including automatic support for popular post types such as WooCommerce products, The Events Calendar events and more. This means that you can now enable the Divi Builder on any type of post and you will no longer be limited to standard Divi post types such as pages, projects and blog posts. Divi gives you the choice to enable the builder on any custom post type, including automatic support for popular post types. Divi detects all of the registered post types on your website and gives you the option to either enable or disable the Divi Builder on each. Once you have enabled the builder on a given post type, the option to use the Divi Builder will appear. This opens up a whole new world of possibilities for the builder to be used in new and exciting ways. Enabling the Divi Builder on custom post types is up to you, and while we can’t guarantee support for all post types, we have made adjustments to the builder’s interface and its style output to help make sure that it’s compatible with third party plugins and the Visual Builder interface will function correctly within the confines of your post type’s limited content area. We put extra effort into testing and addressing compatibility issues with some of WordPress’s most popular custom post types, such as WooCommerce products. For these post types, access to the builder will be enabled by default. Divi powered post types are available today, so download Divi and take it for a spin. Let us know what you think in the comments and don’t forget to check back next week for even more great Divi features coming your way. The post Introducing Divi Builder Custom Post Type Support! appeared first on Elegant Themes Blog.